places + spaces: I'd love to get my hands on that amazing mixed-media wallpaper, and what a clean & simple way to store bowls. uhm, that bench? to die for. 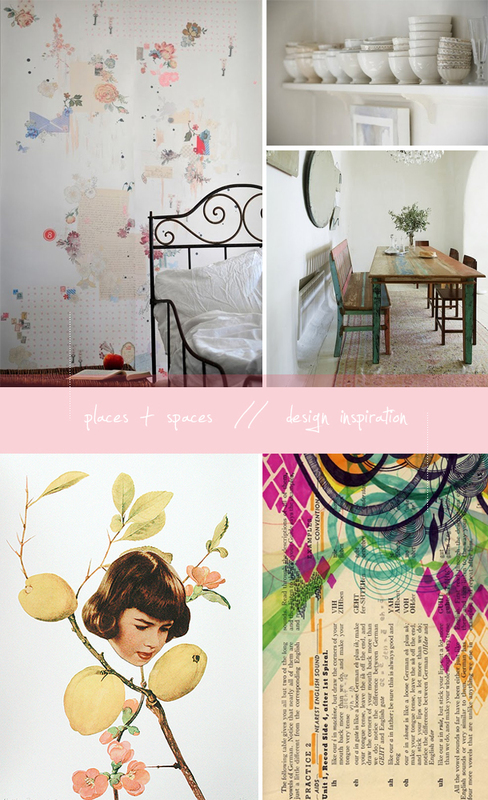 design inspiration: just because it's cool-- a girl (well, her head anyway) in a lemon tree, and a book page with pizazz.